The GOLEM 1 EXCLUSIV table is designed for examining and rehabilitation. It is characterized by a modern design with a sophisticated and fully functional concept that meets all your requirements. 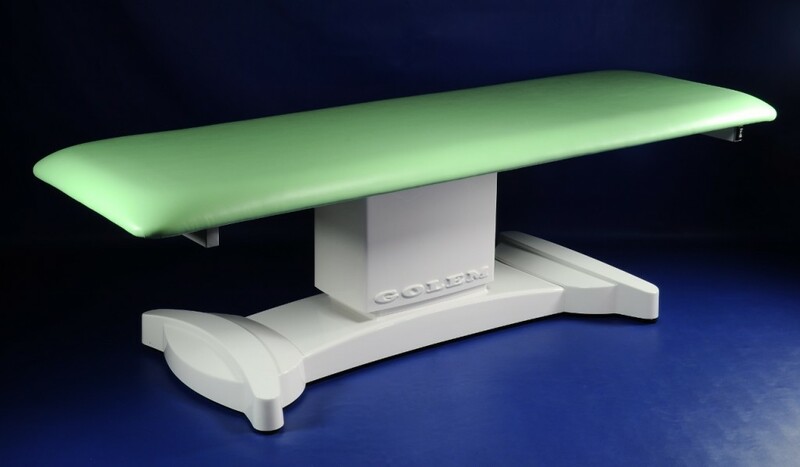 Full covering of the bottom frame and moving mechanism with washable plastic casings ensures safe operation and very easy maintenance of the table. The one-segment operating surface without a nose slot with dimensions of 630 x 2 000 mm is covered with artificial leather in a colour of your choice. The electric drive is operated by switches located under the surface on both sides; the position can be changed even if the table is fully loaded. 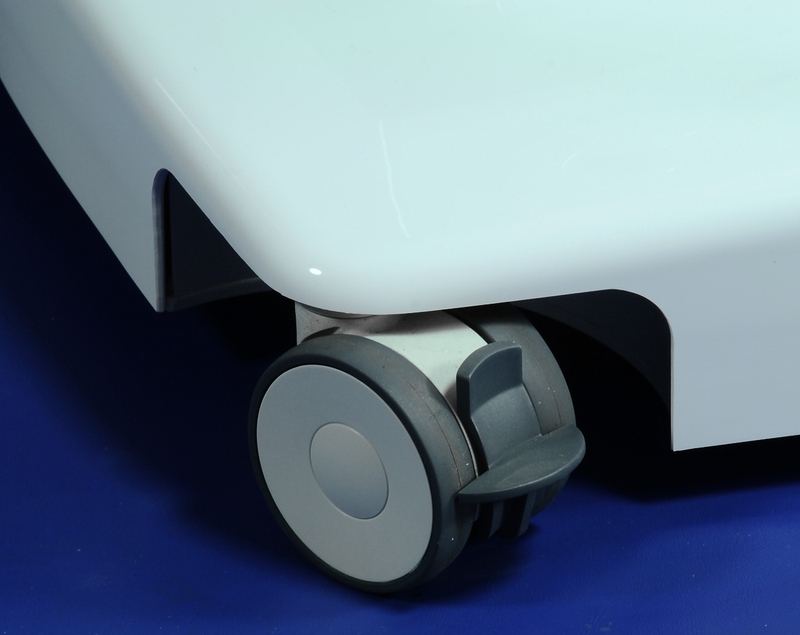 Electric drive adjustable height of 580 – 880 mm, stationary version with adjustable legs. The length of the table can be modified according to your request. The weight of the table is 90 -100 kg depending on version, carrying capacity: 150 kg.